Shocking to some, but all 50 states in the U.S. produce wine. I know I’ve barely touched many of them myself and that is why I was excited to have the opportunity to try a variety of wines from Michigan state last month with the Winestudio program I’m part of. 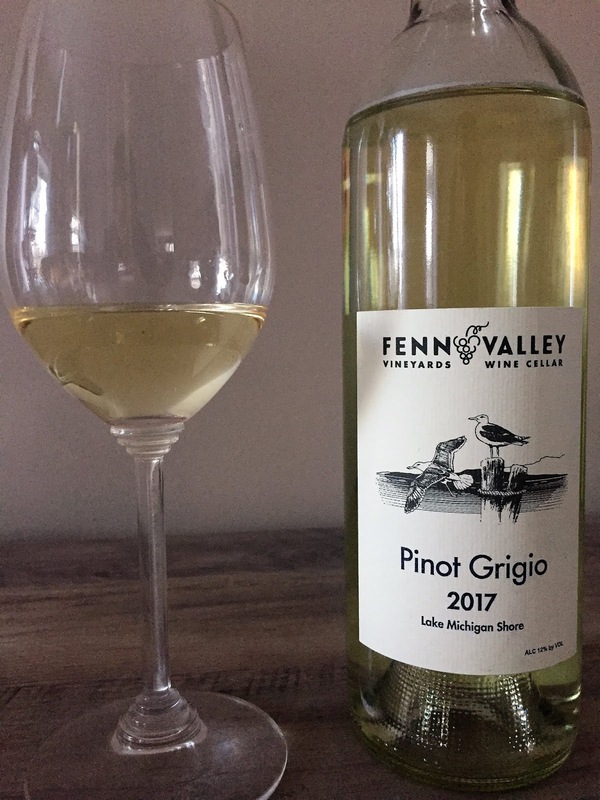 I’m most familiar with the wines of upstate NY around the Finger Lakes wine region and I could only assume that the climate is similar based on the latitude so they were probably growing some similar grape varietals. 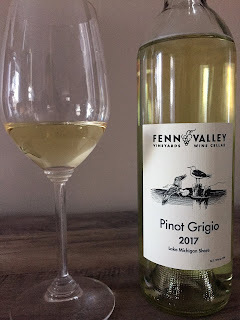 I was rather impressed by the wines I tried and it’s a shame wine regions like Michigan aren’t getting enough publicity and attention that they should be. Especially when there are 140 wineries to explore in this region. Hopefully this will open your eyes and palettes to what is available to us as wine consumers. The first recorded incident of winemaking goes as far back as 1679 when French explorers found grapevines on Michigan soil. Commercial winemaking didn’t start though until later in the 1800s. Within the last decade the acreage dedicated to vines has doubled. 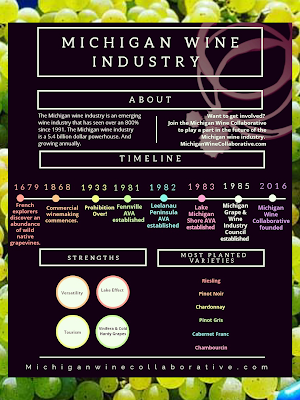 Michigan is also ranked 4th in wine production within the US and in the top 10 of national wine production. This goes to show you what a vibrant and growing wine community is bursting at the seams. 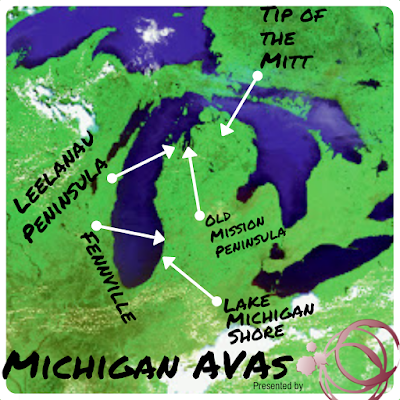 Michigan has 5 AVA’s (American Viticultural Area) in order of oldest to newest established appellations including: Fennville, Lake Michigan Shore, Leelanau Peninsula, Old Mission Peninsula andTip of the Mitt. Quite fun and unique names. 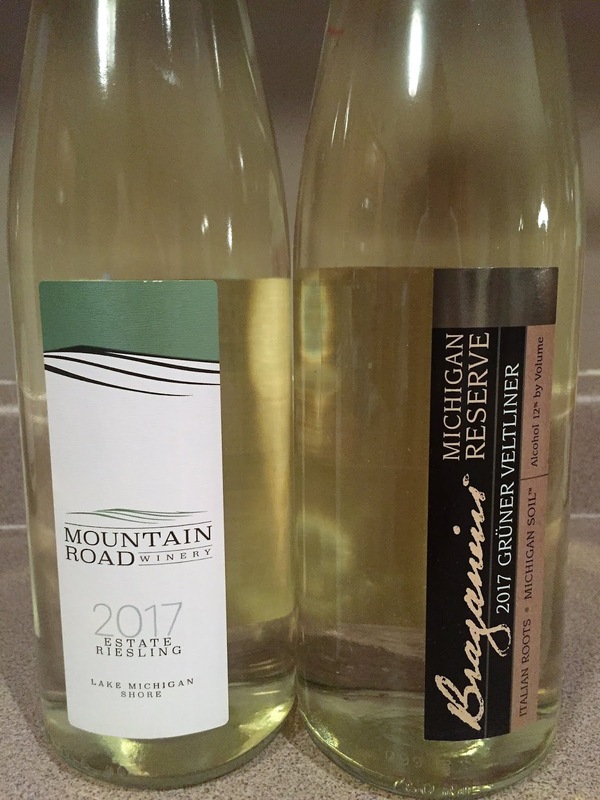 These Michigan wine regions benefit from the “lake effect” of Lake Michigan and other surrounding bodies of waters as it helps mitigate the temperatures of the cold winters and the hot days of summer. 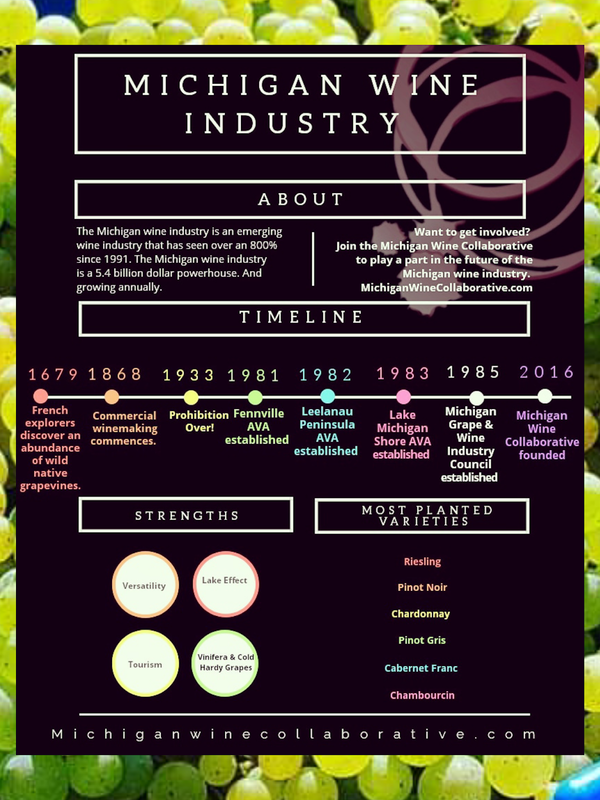 So what types of grapes are being grown in Michigan? They grow cold hardy grapes along with vinifera grapes, but riesling steals the show along with hybrids. The most planted grape varieties are riesling, pinot noir, chardonnay, pinot gris, cabernet franc and chambourcin as you'll see below, but there are many others as you’ll see I also tried a gruner veltliner, typical of Austria. 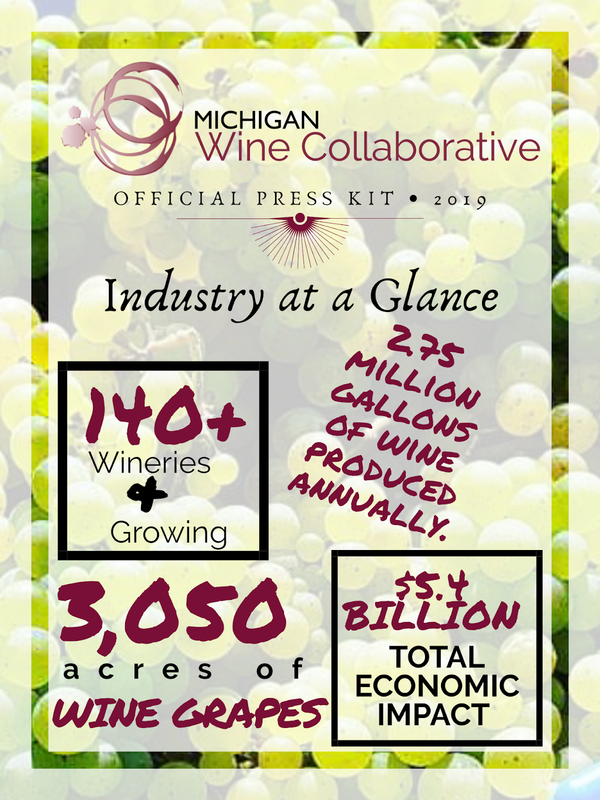 The Michigan Wine Collaborative established a few years ago supports the growing wine industry in Michigan and brings awareness and support to the wineries and farmers that work tirelessly for the production of these fantastic wines. 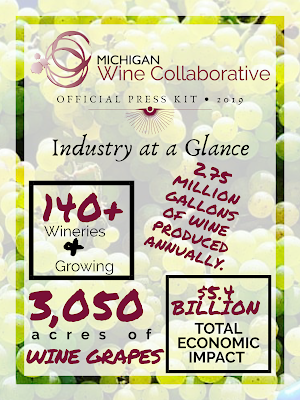 It’s no small feat and is important to the economy of Michigan as the wine industry itself generates $5.4 billion annually. Two of the wines I’m sharing from St. Julian is the oldest winery of the region established in 1921 by Mariano Meconi and is today operated by 4th generation family members. He originally founded Meconi Wine Company in Ontario. After Prohibition he moved down to Detroit and renamed his company the Italian Wine Company. Finally in 1936 he settled in to where the winery exists today and is today called the St. Julian Wine Company in the Lake Michigan Shore Appellation. This wine had beautiful aromatics of stone fruit and some petrol on the nose. A crisp and clean wine with balanced acidity and fruit full of peach, tropical fruits, citrus and a hint of tangerine. Finishing with a nice saltiness on the tongue. 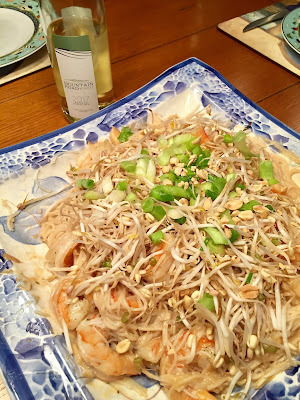 SRP $19.99 ABV 12% This wine went fantastic with some homemade pad thai. Fenn Valley was established in 1973 south of Holland, MI and is only about 5 miles from Lake Michigan on a sandy ridge built into the hill to take advantage of the natural stable temperatures of the earth. The Welsch family operates the winery that came over from Michigan operating in their 3rd generation. The first grapes were planted in 1974 and the winery is always experimenting with what grows best. 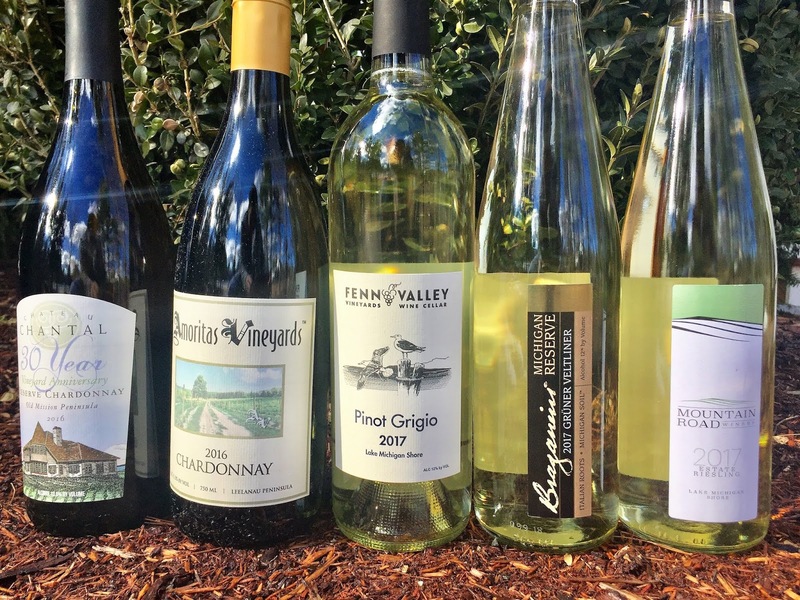 the originally were growing hybrids like chancellor, syval, vignoles, vidal and foch. A couple years later they planted vinifera grapes like riesling, chardonnay and gewurztraminer. Following years they planted pinot gris, pinot noir and cab franc occupying 90 acres of vineyards today. Located on the Leelanau Peninsula Amoritas Vineyards is operated by the Goodell family. The winery was named after the original homestead and Amore family that occupied the residence as well as Amore Road where the winery is based. Occupying 13 acres of vines all grapes are estate grown. The family’s vision is to produce clean, delicate and delicious wines. 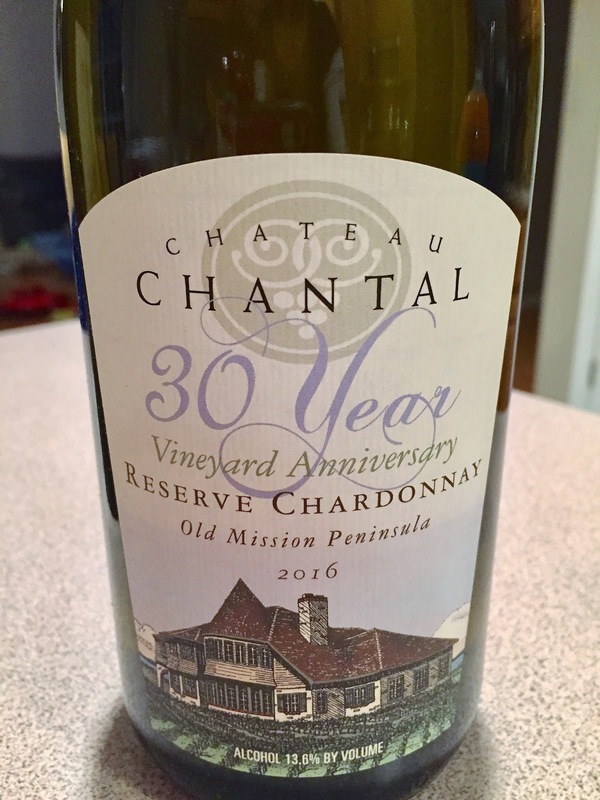 Almost clear in a color with a tinge of straw yellow the wine gives way to a lemon citrus nose with grassiness and pineapple notes. A light, crisp wine filled with juicy ripe apples and tropical fruits. 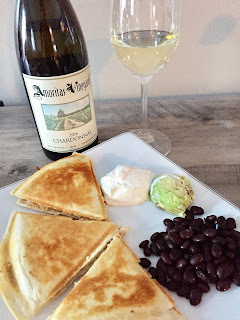 ABV 11.5% SRP $21 I tried this pairing out with some quesadillas for an easy weeknight meal that went together just great. Located on the Old Mission Peninsula Chateau Chantal is winery you can actually stay as they operate a B&B onsite and based on their pictures of the winery online the views are gorgeous. The Begin family has quite an interesting history with their previous careers as a Catholic priest and Felician nun. They married in 1974 and followed Robert’s dream of opening their French European chateau style property that was completed in 1993. *These wines were provided as samples, but opinions are always my own.